The Comeback – celebrity ghostwriter. journalist. content creator. 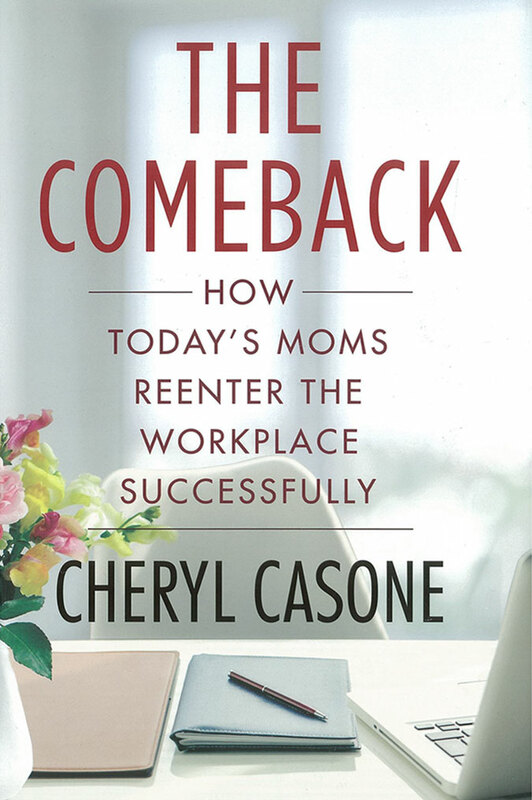 Published by Portfolio, Penguin Random House in May 2016, I collaborated on the Comeback: How Today’s Moms Reenter the Workplace Successfully. I had a with credit on the interior cover. We did heavy reporting for this book, interviewing hundreds of mothers about the challenges they faced leaving and attempting to return to the workforce after taking a break to raise children. Fortunately, career expert and Fox Business anchor Cheryl Casone has written a comprehensive guide to making the comeback. After interviewing hundreds of women who are willing to share both their successes and their mistakes, Casone offers a one-stop shop for moms at every stage of the process. The many real-life stories in this book prove that with a smart strategy and some determination, almost any mom can make a successful comeback. In the process she can improve her standard of living, her self-esteem, and probably also the well-being of her kids.